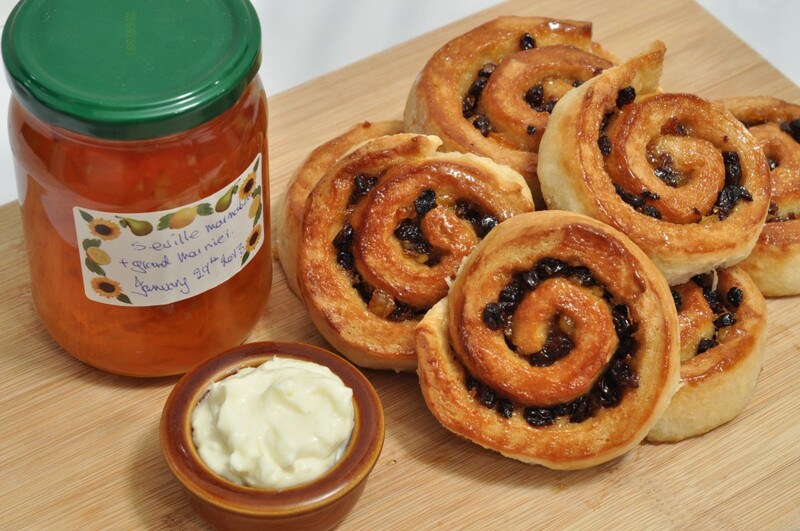 I was going to make Chelsea buns. I had three very good reasons. In the first place, I never tried one while I was living in England, and have felt the need to make up for it ever since. Secondly, they seemed like a perfect match for the Tea Time Treats challenge, brought to us by Karen of Lavender and Lovage and Kate of What Kate Baked. This month’s challenge is bread, hosted by What Kate Baked. And, most importantly of all, I needed to find a good bun recipe for the “Reading and Refreshments” feature on my other blog. You see, outside of the kitchen, I have another life as a novelist (one which involves piles of manuscripts marked with red pen, far too many notebooks, and a lot of hours spent pounding on the keyboard), but that really doesn’t belong on this blog. The only thing you need to know is that this month the book being featured on “Reading and Refreshments” was A Bear Called Paddington. And since Paddington is so fond of buns, it seemed fitting that I should choose them as the refreshment. I was all set. 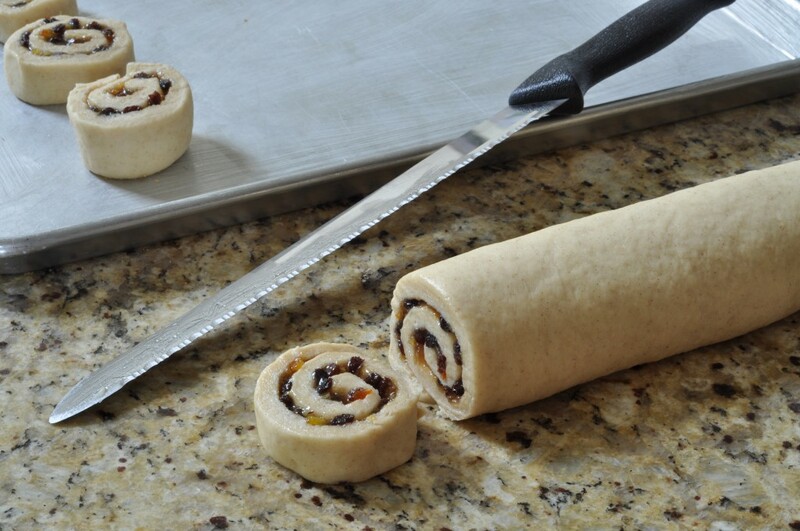 I had the ingredients and measuring cups laid out, and a cookbook opened to a Chelsea bun recipe on the counter. But then I started thinking. If you have ever read or heard anything about Paddington, you know that marmalade is his favorite food. And it just so happened that I had a jar of orange marmalade in my cupboard. It would be a nice touch, I thought, to make a bun with a marmalade filling. 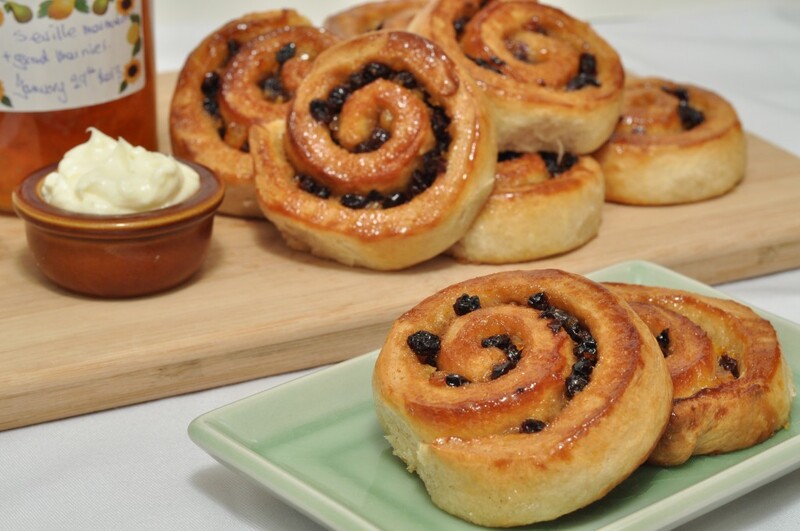 And suppose that, instead of the milk-and-sugar glaze that the recipe called for, I brushed the hot buns with honey, since that was Paddington’s special Sunday morning treat? 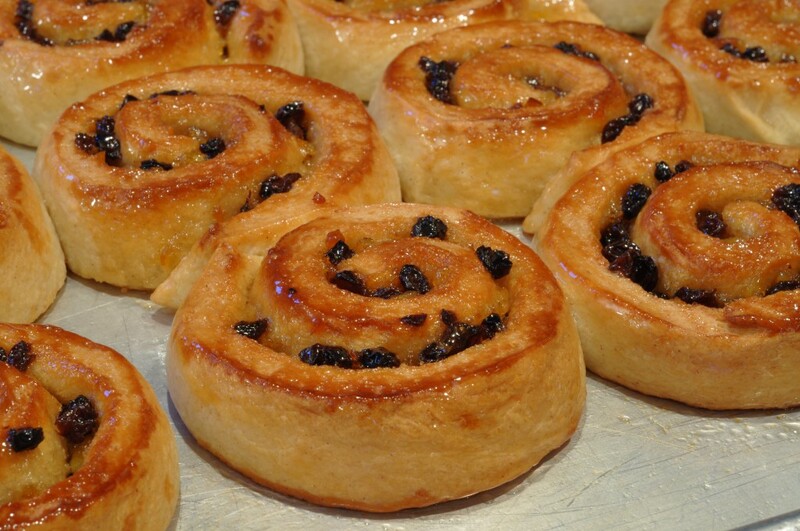 So, with one thing and another, I ended up not making the Chelsea buns at all, but something quite different. 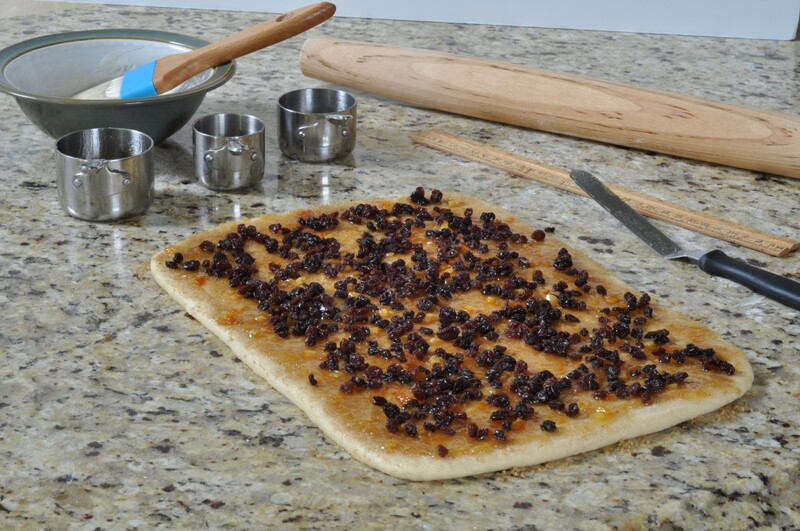 My final result was coils of tender, cinnamony dough wrapped around a deliciously sticky filling of marmalade, currants, and brown sugar. I spaced the buns fairly far apart on the baking sheet, so that they wouldn’t touch each other too much, but bake up deliciously crisp and golden round the edges. A light coating of honey finished them off with a beautiful sheen. Although these buns certainly still have elements of a Chelsea bun, I thought they were distinctive enough to deserve their own name. Paddington Buns, of course. I’m sure he would love them. I know I did. 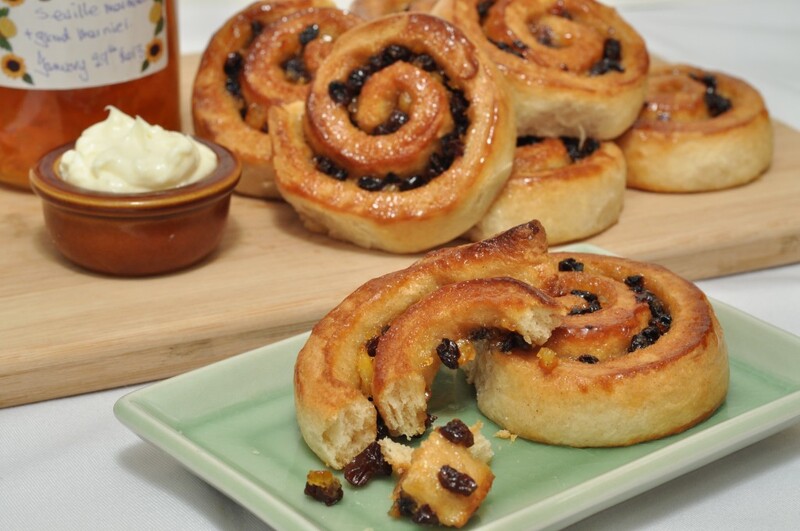 And as for the Chelsea buns? Well, I guess that day when I finally get to try one will just have to keep waiting. Thank you so much, Karen. 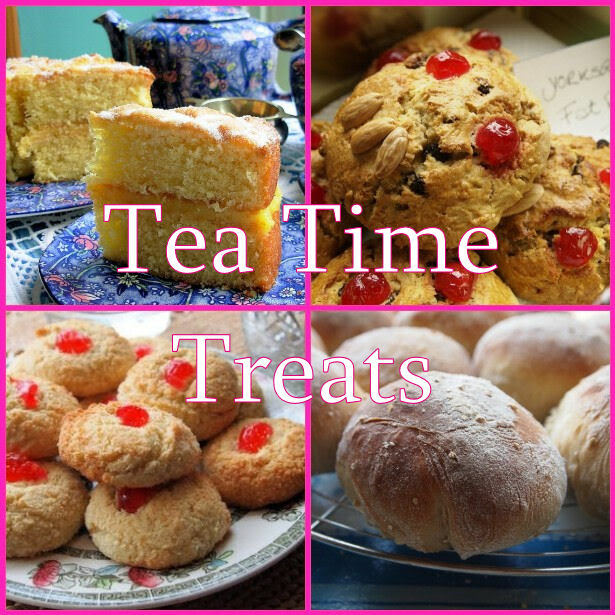 Your blog is wonderful, and I’m delighted to be able to participate in Tea Time Treats. I hope that I’ll be able to join in every month! Aw thanks! The new challenge for November one will be posted later today…….. Yes, I saw it on Twitter just a few moments ago! 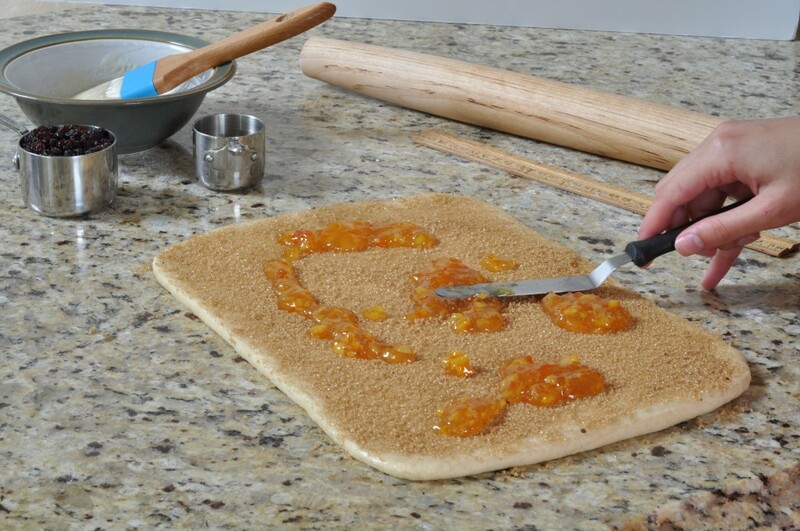 Dried fruit–what a delightful ingredient. I love all dried fruits, but especially dates and cranberries. I shall have a hard time deciding what to make! 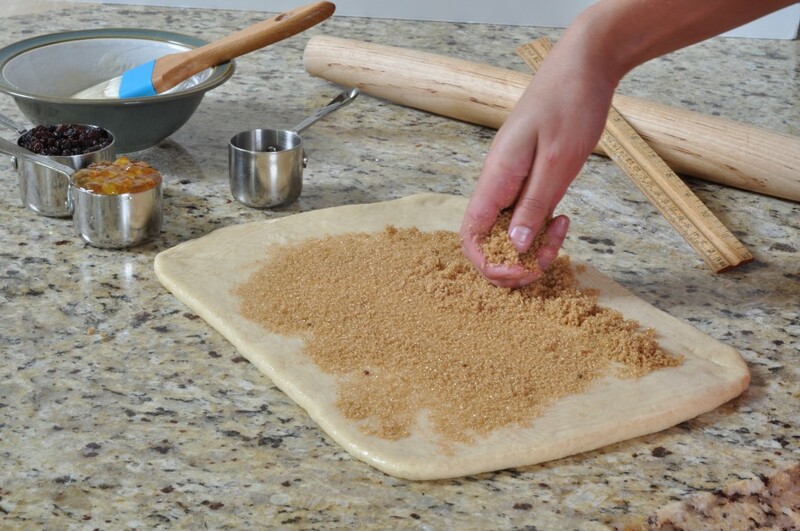 I love a sticky bun and what a lovely tale behind the bake. Thank you for entering TTT! Thank you, Kate. I hope to become a regular participant of Tea Time Treats; the tradition of afternoon tea is very close to my heart. It was a birthday tea at the Ritz in London that first put the idea of going to pastry school in my head! These look gorgeous and easy instructions to follow too. Must give them a try. Thank you, Alison! I’m glad to know the instructions are clear. Please let me know how the buns turn out if you try them! Have a lovely day.